Canadian police say they have arrested two men and thwarted an alleged terrorist plot targeting a passenger train in the Greater Toronto Area. Police accused the two men, who will appear in court tomorrow, of conspiring to commit an "al-Qaeda-supported" attack. Police say they have arrested two men accused of conspiring to carry out an "al-Qaeda supported" attack targeting a Via passenger train in the Greater Toronto Area, following a cross-border investigation that involved Canadian and American law enforcement. In a press conference that followed a report by CBC's Greg Weston, police named the two accused as Chiheb Esseghaier, 30, of Montreal, and Raed Jaser, 35, from Toronto. They have been charged with conspiracy to carry out a terrorist attack and "conspiring to murder persons unknown for the benefit of, at the direction of, or in association with a terrorist group." RCMP officials said the two accused were plotting to derail a passenger train. Jennifer Strachan, chief superintendent of RCMP criminal operations in the province of Ontario, said the two suspects watched trains and railways in the Greater Toronto Area. "We are alleging that these two individuals took steps and conducted activities to initiate a terrorist attack," she told reporters. There was a specific route targeted, not necessarily a specific train, Strachan said, although she declined to reveal the route. According to a Reuters report, U.S. law enforcement and national security sources said the alleged plot targeted a rail line between Toronto and New York City. The two men arrested are not Canadian citizens but were in the country legally, police said Monday. Investigators would not provide any details about their nationalities. The RCMP accused the two men of conspiring to commit an "al-Qaeda-supported" attack. RCMP Assistant Commissioner James Malizia said the two accused were getting "direction and guidance" from al-Qaeda elements in Iran. There was no information to suggest the attacks were state sponsored, he said. The two men are expected to appear at Old City Hall courthouse in Toronto tomorrow. "Had this plot been carried out, it would have resulted in innocent people being killed or seriously injured," Maliza told reporters on Monday. Strachan said the attack was in the planning state but "not imminent." RCMP said while they believe the individuals accused had the "capacity and intent" to carry out an attack, they believed there was "no imminent threat" to the public, rail employees, train passengers or infrastructure. 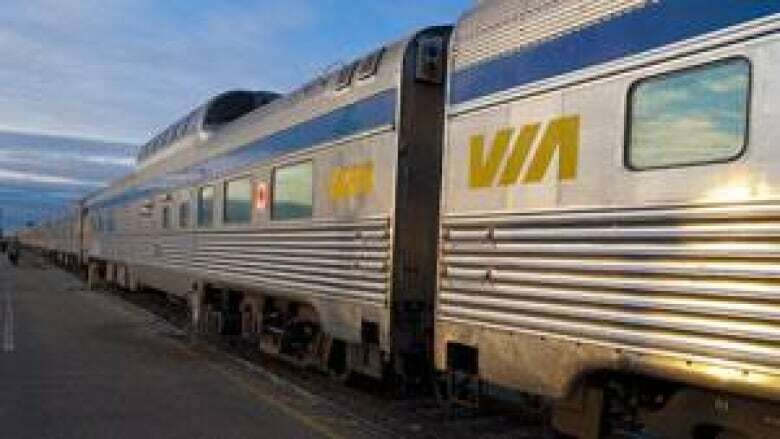 In a statement, Via Rail reiterated that "at no time" was there an imminent threat to the safety of the public or Via rail passengers or staff. "We co-operate with all involved in ensuring the safety and security of our passengers, our employees and the public," Via said. According to Via, its trains carry nearly four million passengers annually. 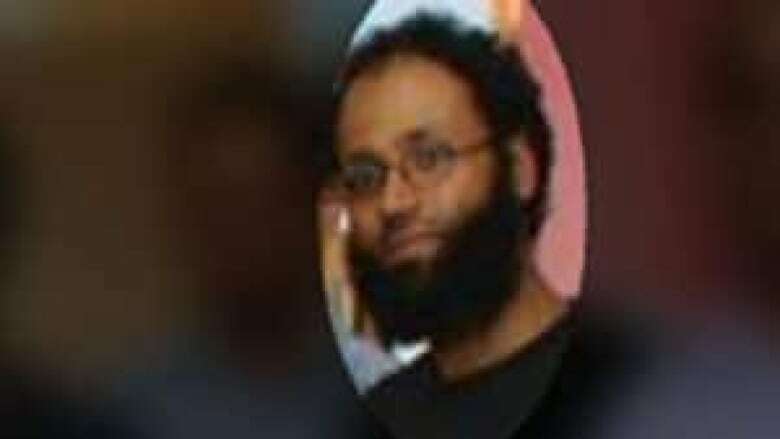 Toronto Imam Yusuf Badat, of the Islamic Foundation of Toronto, told CBC's Evan Solomon that RCMP officers said they received tips from the Muslim community that led to the arrests. RCMP spoke to community leaders before the news briefing held Monday. Badat said none of the community leaders that were present at the briefing had heard of the two men arrested. RCMP officials said the investigation, called Operation Smooth, was ongoing, but declined to provide details. Public Safety Minister Vic Toews congratulated the RCMP, CSIS and local law enforcement and thanked the FBI for their assistance. "Today's arrests demonstrate that terrorism continues to be a real threat to Canada," Toews told reporters on Parliament Hill Monday. "The success of Operation Smooth is due to the fact that Canada works very closely with international partners to combat terrorism." He declined to take questions, citing the ongoing investigation. U.S. Ambassador David Jacobson also congratulated the RCMP and said in a statement the arrests were the result of "extensive" cross-border co-operation. "It underscores the fact that we face serious and real threats, and that security is a shared responsibility," Jacobson said. "We all need to remain vigilant in confronting threats and keeping North America safe and secure." Law enforcement officials say the terror suspects arrested today have no connection to the two brothers accused of last week's Boston Marathon bombings. They also say there is no tie to the former London, Ont., high school friends who joined al-Qaeda and died earlier this year while helping to stage a bloody attack on an Algerian gas refinery. The plot is reminiscent of another that was broken up in the summer of 2006, when police arrested 18 people in a massive anti-terrorism sweep in southern Ontario. Eleven of the 18 were subsequently convicted of aiding the group in various plots, ranging from blowing up the Peace Tower on Parliament Hill and the Toronto Stock Exchange with trucks laden with explosives to beheading the prime minister and other politicians. The group never got a chance to execute any of its plans before being arrested when one of its members took delivery of what they thought were three tonnes of fertilizer to be used in truck bombs. Undercover agents had replaced the shipment with harmless chemicals. Four are serving sentences of 18 years to life in prison, while the other seven received terms ranging from 30 months to just over seven years. More recently, three Canadian citizens were arrested in August, 2010 — two Ottawa men and a London, Ont. doctor — and charged with knowingly facilitating a terrorist activity. One of them, Hiva Alizadeh, was also charged with possession of more than 50 circuit boards allegedly to be used as remote detonators for bombs. The cases involving those three have yet to go to court.